Delfont Chalfont: Did I ever tell you all about my exploits with the 35th horse brigade at the battle of Tompkins Bay? Gerda: You couldn't have. We've only just met. 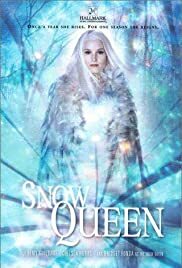 Q: I got to the end of this version of Snow Queen 2002 and it said To be continued! Does any one know what part 2 is called? Is is Kai and the Snow Queen 2? This 3-hour made-for-TV miniseries came home with us from Blockbuster's this weekend. 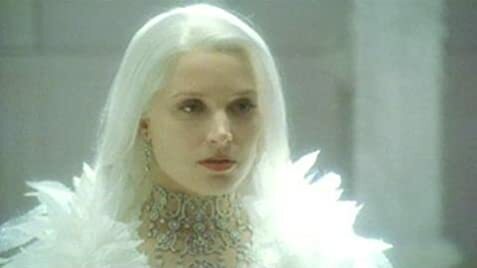 The production company clearly spent a lot of money on sets, costuming (Bridget Fonda, especially), and special effects (including a great Jim Henson talking polar bear & reindeer). They should have spent a bit more money getting a coherent script. The story line was so loose that it really never came together. One can overlook Irish-accented Germans, but not herky-jerky storytelling. With senseless loose ends which included a special guest appearance by the Devil, this one is certainly not destined to be a Christmas Classic. A shame that they wasted good performances by the two female leads.